machinima has been made available free of charge. The SLENZ Project announced today that its Midwifery Studies Build Version 1.0, is now available for free pickup from the Nelson Marlborough Institute of Technology (NMIT) Second Life island of Kowhai. The build is being made available by NMIT, which ran the the New Zealand Government-funded SLENZ Project, under the Creative Commons Attribution Share-Alike License 3.0. The Midwifery Studies Build is the second to be made available to the public. The project has previously made its Foundation (Bridging) Learning Build available under the same criteria. The packaging of the builds marks the culmination of the 18-month, $NZ500,000 SLENZ Project, the team members of which have now launched Virtual Life Education New Zealand to continue their research as well as to provide advice to virtual world users. “Making the midwifery build available to the public means that the final deliverable for the SLENZ Project is now done,” SLENZ Project joint leader Terry Neal said. The team was thrilled that scores of people had picked up the Foundation Build and hoped that the interest in the Midwifery Build would be similar. “Our dream is that learners all around the world can benefit from what we have done,” she said. “We also hope that others will imitate us in making what they develop freely available. Neal said she would love to see educators all over the world focusing on “how we can design, develop and use virtual environments to significantly improve how all people learn, rather than creating builds for ourselves and locking them away. Neal paid tribute to the Tertiary Education Commission and Nelson Marlborough Institute of Technology for their commitment “to sharing so generously”. 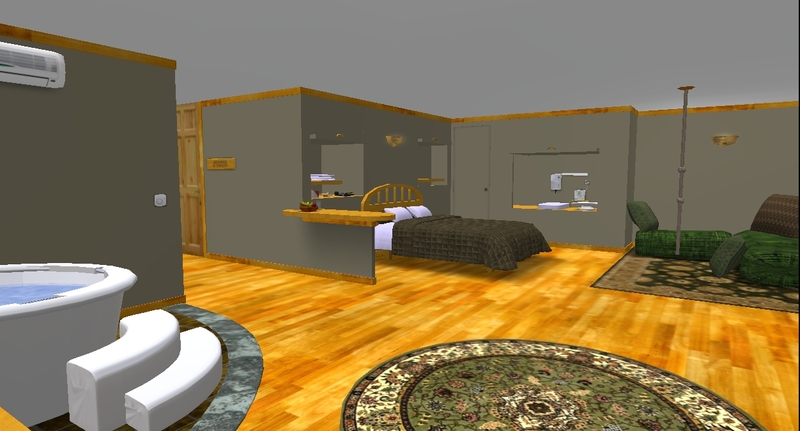 The Midwifery Studies Build (791 prims) contains all the items required for the Normal Birth Scenario developed by the SLENZ team for the SLENZ Project midwifery pilot, including the birthing room, midwives’ office, treatment room and outdoor courtyard. Ceilings on the rooms have been removed to facilitate camera access. The SLENZ Midwifery Studies Resource Pack includes the SLENZ Mother Controller (HUDs created by SLENZ Developer Todd Cochrane (SL: Toddles Lightworker). All package items are full permissions. The Birthing Unit build, now available free. The items are provided inside a 24 x 40 metre megaprim base (SLENZ Midwifery Studies Rez Base) and can be rezzed from this base once it is positioned. Griffiths plans to hold technical discussions which will focus on a users’ first interaction with the Foundation Studies and Midwifery Builds. It will look at the scripts used to welcome users and offer them introductory information. He is available for help with the builds and would appreciate feedback [debnaar@clear.net.nz]. Griffiths is currently investigating the production of OAR files for both builds so they can be used in alternative OpenSim environments. The Midwifery pilot was conducted in conjunction with Otago Polytechnic and Christchurch Polytechnic Institute of Technology (CPIT). Midwife Sarah Stewart (SL: Petal Stransky) was the Lead educator on the project. Pickup your Birth Unit Build from the pyramid right foreground. Te Wāhi Whānau, The Birth Place, on the SLENZ Project’s Second Life island of Kowhai is a place where midwifery students can experience the authenticity of the moment of labour and birth even if in a virtual world. A new machinima demonstrating just how the normal birth scenario works in Te Wāhi Whānau has been produced by well-known New York machinima maker, Pooky Amsterdam (pictured right), of PookyMedia, and directed by Scotland-based Russell (Rosco) Boyd. Te Wāhi Whānau is The Birth Place, where students can experience the authenticity of the actual moments of labour and birth. The normal birth scenario is part of the training which students are learning there in a replica of the actual facility in New Zealand. 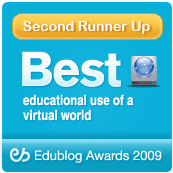 Second Life Education in New Zealand and PookyMedia present this important video. Midwifery pilot lead educator Sarah Stewart (SL: Petal Stransky) and SLENZ Project co-leader, Terry Neal (SL: Tere Tinkel) worked with Pooky and Russell to write the script which Russell, working from Scotland, and Pooky, working from New York, turned into the machinima. The delightful Kiwi accents were provided by Terry’s whanau or family. The main target audience for the promtional video, according to Terry, is the Otago Polytech and CPIT (Christchurch Polytechnic Institute of Technology) distance students who will be initially using the pilot. “polishes” the Te Wāhi Whānau (The Birth Centre) build before students “arrive”. Otago Polytechnic and Christchurch Polytechnic Institute of Technology midwifery students have begun taking part of their midwifery course on the SLENZ Project island of Kowhai in Second Life. The 27 Otago Polytechnic and CPIT Year 1 extramural students from Central Otago, Southland, and Nelson/Marlborough, began for the first time on Monday to use the specially-constructed Birth Centre (Te Wāhi Whānau) with the help of qualified midwife facilitators from their home areas to do the “virtual world” portion of their coursea via Broadband from their homes. The joint co-leader of the SLENZ Project, which has sponsored the pilot programme, Terry Neal, said she was excited that “the real learning” had to begun. The movement of real life students onto “real learning tasks” within Second Life, she said, meant an important milestone had been achieved on schedlule by the SLENZ Project which is one year old. Lead educator for the pilot Sarah Stewart (SL: Petal Stransky), talking about the first day, noted that students had had a variety of reactions to their first day, with some having the usual minor difficulties and thus needing help and others wanting to be left alone to find their own way around. In another aside, Sarah (Twitter: SarahStewart) said interest in the midwifery pilot had been growing on Twitter, with the pilot YouTube video being passed around. The innovative pilot programme has been funded by the New Zealand Government’s Tertiary Education Commission as part of a project to determine how multi-user virtual environments (MUVEs) might benefit New Zealand education and how this can best be done. The project, which has selected midwifery and foundation learning for its two pilot programmes, aims to delineate and demonstrate to New Zealand educators and students the educational strengths or otherwise of learning in a virtual world. To celebrate the milestone and the first birthday of the project the SLENZ Project team held a well-attended celebration “party” on the adjacent Nelson-Marlborough Institute of Technology island of Koru on Sunday night. Toddles Lightworker, with the dragon wings, appears to be directing the dancers. Meanwhile SLENZ Project lead developer Isa Goodman RL: Arron Griffiths) and joint leader Arwenna Stardust (RL: Dr Clare Atkins) are keen to re-vitalise the Kiwi Educators group and in response to popular demand plan to hold regular meetings again. The duo have issued an invitation to all past and potential members – in fact, anyone with an interest in education in New Zealand – to a meeting on Sunday July 12 from 6pm – 8pm (NZ Time) (Saturday, July 11 11pm-1am SLT) beginning at Kauri Grove, Koru. The plan is for attendees to gather at 6pm and then visit the Particle Lab to see the wonderful fireworks display which starts at 6.30pm and runs for an hour before returning to Koru to chat and catch up, and plan for the futureof the organisation. … “all” the information you need to get started. Today, for the first time, New Zealand midwifery students began to enhance their regular study programme with learning in the virtual world of Second Life. 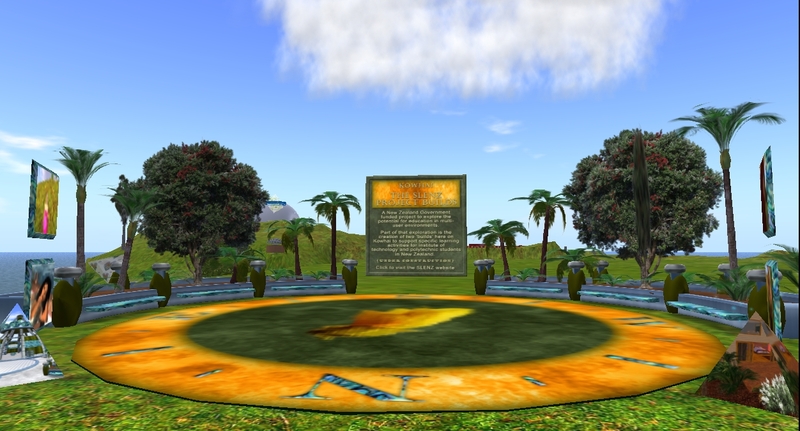 The 27 first year students and 23 second year students were introduced to the Otago Polytechnic’s virtual “model” birth centre (Te Wāhi Whānau), on the Government-funded SLENZ Project’s Second Life virtual island of Kowhai. The students will be joined by another 15 third-year students in June as the School of Midwifery further develops the “blended delivery tools” it is using in its newly-revised midwifery education programme. Christchurch Polytechnic Institute of Technology (CPIT) and midwifery students will also join the virtual world part of the programme in June. The students range in age from their 20s to 40s, with a variety of life experiences and varying degrees of computer literacy. According to Dr Deborah Davis, the school’s principal lecturer, students will eventually access The Birth Centre from home via the Internet through Broadband links. In February Otago Polytechnic in collaboration with CPIT began a new “flexible” programme which allows the students to remain in their home town or community while accessing course material on line and working alongside local midwives and women and meeting for face-to-face tutorials. Their virtual world experience will be part of this. “They are supported by a midwife from their area who provides face-to-face tutoring and support,” Dr Davis said, adding that these students travel to the polytechnic for “intensives” (two weeks, four times/year) where they “focus on skills and other learning that is more suited to face-to-face” teaching. Dr Davis said the virtual Birth Centre would also “provide an important learning opportunity for second-year students, who are currently focusing on the physiology of normal birth. Dr Davis said the virtual birth centre should also provide a useful opportunity for third-year students to hone and practice their midwifery decision-making skills while participating in an “apprentice” style year on clinical placements with midwives all over New Zealand. The SLENZ Project, which is running two pilot education programmes in Second Life, is funded by the Tertiary Education Commission of New Zealand.